VETA has established a strategic partnership with MUEVO, a leading European company, specialized in innovative exhibition display cases. Together, we have successfully realised manufacturing and installation for high-end profile museums in Europe. MUEVO, created by a multinational and multi-skilled team of museum professionals sharing a long-standing museum experience, an outstanding technical expertise and a passion for culture. VETA’s manufacturing experience and industrial capacity combined with MUEVO’s in-depth expertise, safeguard high-end engineering, manufacturing and installation solutions for a wide range of museum showcase projects. Together with MUEVO, we develop and install innovative display cases, smart modular cabinets and state-of-the-art exhibition systems, every size and type of project, from a simple standard case to the most complex and technologically advanced custom case, from small scale to large scale exhibition fit out. Our exhibition systems are not merely static showcases, but intelligent cultural devices of narrative interaction and cultural promotion. Each one of our projects is designed and built according to the initial economic and technical design, in strict compliance with high aesthetic requirements as well as international quality and safety standards. 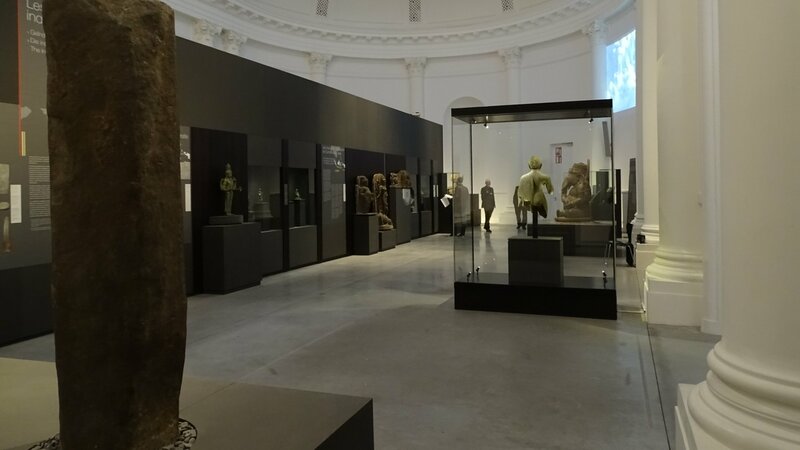 We provide end-to-end technical solutions for manufacturing and installation of sophisticated museum and art exhibition systems and all the relevant display equipment according to customer needs and design requirements.